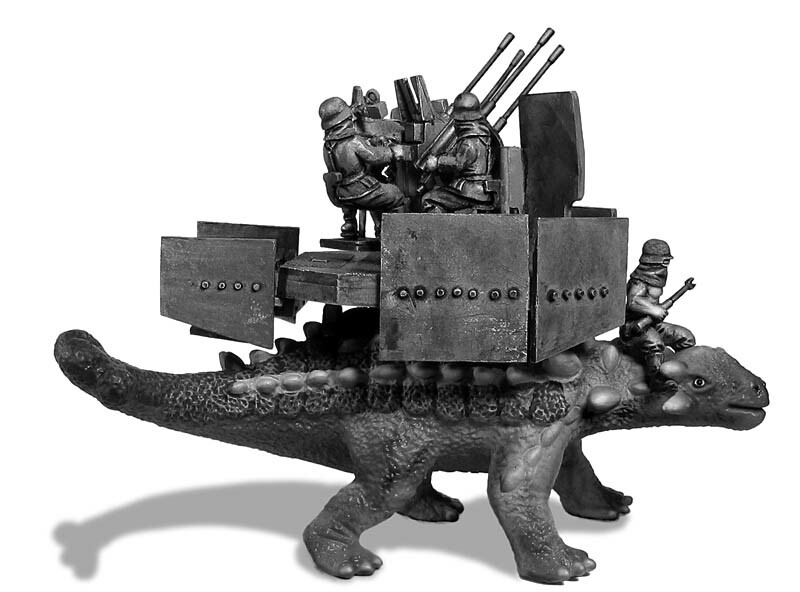 Two versions of the Flakasaurus were produced during late 1942, one based on the 3.7cm Flak and another, larger version using the 2cm Flakvierling 38 anti-aircraft gun (depicted here) mounted on an Ankylosaurus. The official designation of the unit was Fd.Kfz 213 Ausf B, but was widely known as the Flakasaurus. Allied troops dubbed them “Awful Annie” after the popular comic strip character. Intended to provide mobile air defence for dinosaur-based convoys and reconnaissance units, these units were first deployed to Africa in February of 1943. Initial combat trials proved extremely effective as the creatures were able to traverse terrain that was considered impassible to conventional vehicles, and they did not leave a tell-tale dust trail behind them. Playing a significant role in the protection of forward troops during the battle of Kesserine Pass, the order was given to increase the number of Flakasaurus units and attach them to the two new Kriegsclaw Divisions being created for the Russian Front. Arriving in time for the Kursk Offensive, the Flakasaurus once again proved its effectiveness in providing aerial defence capabilities to the embattled troops. 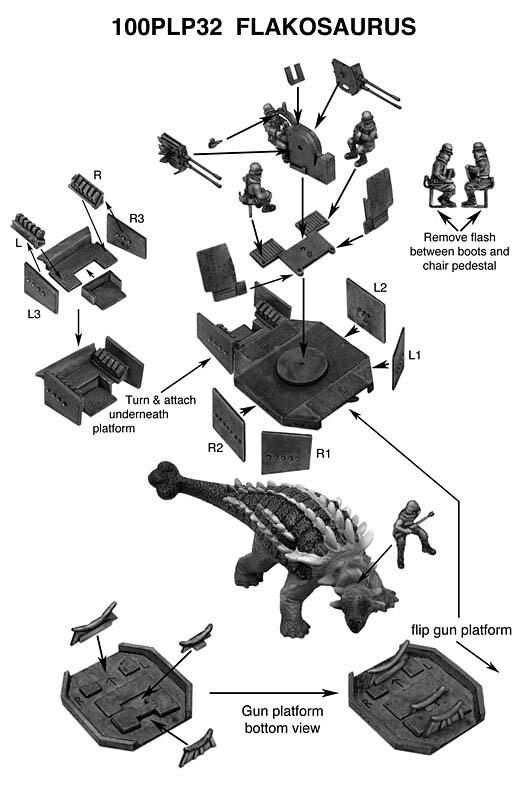 Additional dinosaur-based vehicles soon began to emerge, including the Tricerawerfer and Jagdpanzersaur.